If you've read any of my monitor reviews in this magazine you'll probably have gathered that I'm fascinated by electro-acoustics and speaker design. 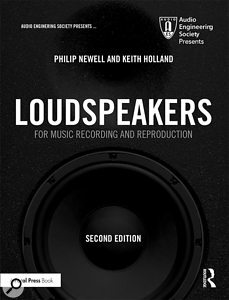 Another thing you may have picked up from my articles is my occasional recommendation of a book on the subject, Loudspeakers For Music Recording and Reproduction, by Philip Newell and Keith Holland. It's a book I regularly pick up and dip into, particularly when I'm about to describe something that's technically complex or perhaps potentially contentious. It's not far off playing the role of my Bible. 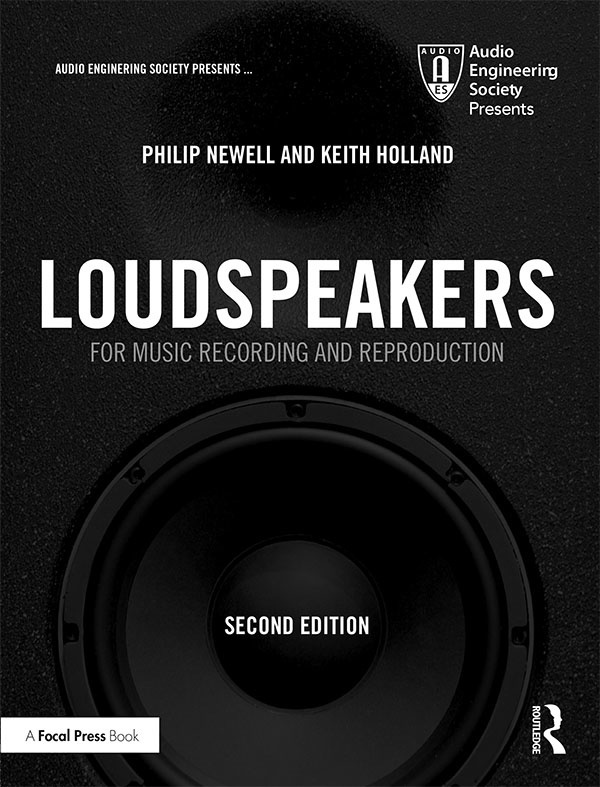 The first edition of Loudspeakers was published in 2007 but now, with the much revised and expanded second edition (Focal Press/Routledge, ISBN: 9781138554825), we have reason to give it the formal SOS review treatment. Philip Newell has enjoyed a long and distinguished career in both monitor and recording studio design, and in music production and engineering — his CV includes work with Queen, the Who and Mike Oldfield, to name just three. He has published countless books and technical papers in the field of speaker and studio design and is a member of the Audio Engineering Society, the Institute of Acoustics and the Society of Motion Picture and Television Engineers. Dr Keith Holland is an Associate Professor at Southampton University's Institute of Sound and Vibration Research, where he has worked, first as an undergraduate student, since 1984. Since 1990 Keith has taught electro-acoustics at undergraduate and postgraduate level at ISVR and also on the Tonmeister course at the University of Surrey. Like Philip, Keith has published numerous research papers in the field of acoustics, and electro-acoustics. If the names of Newell and Holland ring any bells for you it may well be because I've occasionally referred in monitor reviews to an Institute of Acoustics paper they jointly wrote in 2001. That paper, investigating both the longevity of the Yamaha NS10 and the monitoring significance of speaker time-domain characteristics, not only inspired the development of Acoustic Energy's AE22 monitor speaker, but has since become something of a totem for those, like me, who believe that how a monitor performs in the time domain (how quickly it starts and stops in response to a signal) is just as important as its frequency domain performance (how wide and flat is its frequency response). The kind of real-world and relevant analysis that characterised the Newell and Holland NS10 paper is repeated throughout the entire Loudspeakers book. Although there are some slightly more academic sections that may well require a degree of re-reading and thinking about to appreciate fully, the style and content is so clear and firmly routed in the practical that it is equally valuable to read from either an academic or pragmatic perspective on the subject. Potentially difficult concepts are clearly and elegantly explained rather than hidden behind obscure mathematics, and there are few formulae to try and decipher. If you're familiar with the first edition of Loudspeakers you'll perhaps be wondering what's new in the second edition. Well, apart from the design and layout receiving a polish, and the page size increasing, every section of the text has been revised and there are around 100 pages of new material, including, for example, a section on Bass Transmission Index (BTI), a fascinating new technique, based on principles similar to those of speech intelligibility analysis, for objectively quantifying the low-frequency performance of speakers. Of course, you may not find Loudspeakers, the book, as rewarding and useful as I do — but if electro-acoustics happens to be a subject you wish you understood more, or if before a speaker purchase you'd like to be better informed, there is absolutely no better place to start, as far as I'm aware. Hardback £110, paperback £59.99, ebook £53.99. Hardback $107.43. Paperback $65.07. Kindle $65.65.